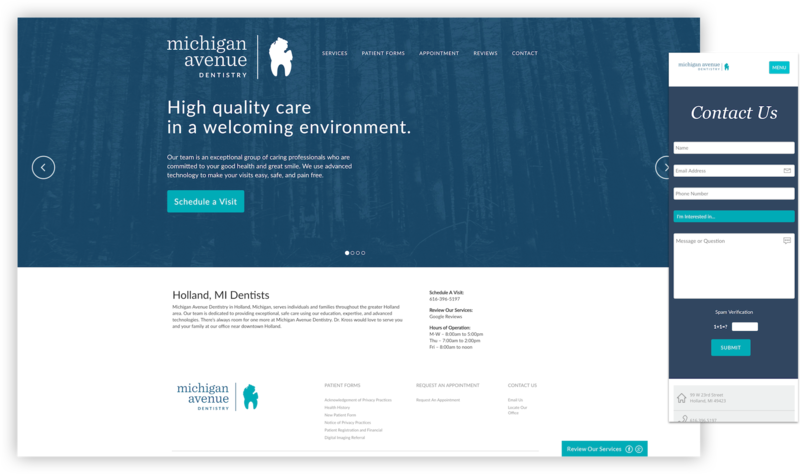 The team at Michigan Avenue Dentistry are experts in their field – and more importantly, they truly care about the patients in their care. 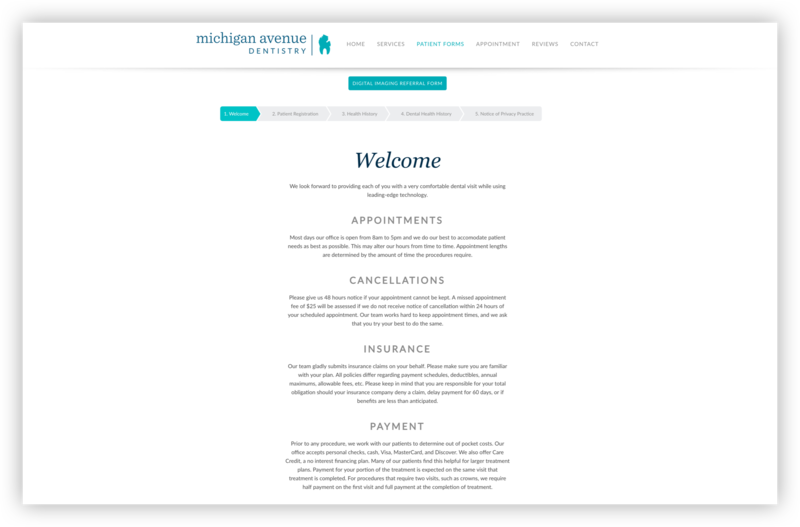 We enjoyed crafting their brand – and their brand new website – to ensure that local families can easily find the care they need at Michigan Avenue. This was a project we could really sink our teeth into. 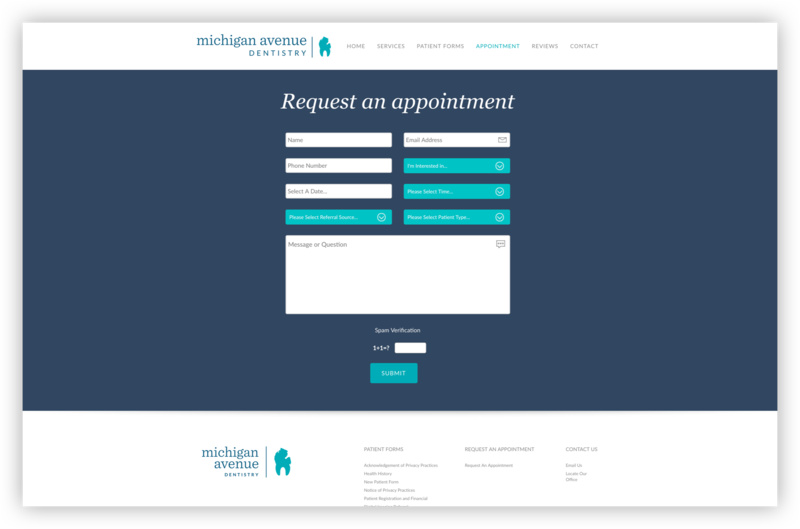 The Michigan Avenue Dentistry website is clean, functional, and beautiful – just like your mouth will be after you pay them a visit. The two main focuses of Michigan Avenue Dentistry are expert care and patient-centered care. They don’t just care about teeth, they care about people. We chose to communicate that with a Michigan-centered vision – this is a hometown, high-quality dentist who truly cares about your smile.